Thursday 26th July 2018. Lightning over Edinburgh. I was just too late to catch more images. Driving from East Lothian after sunset photography. Lightning storm was on for about 30 minutes. Most was sheet lightning. 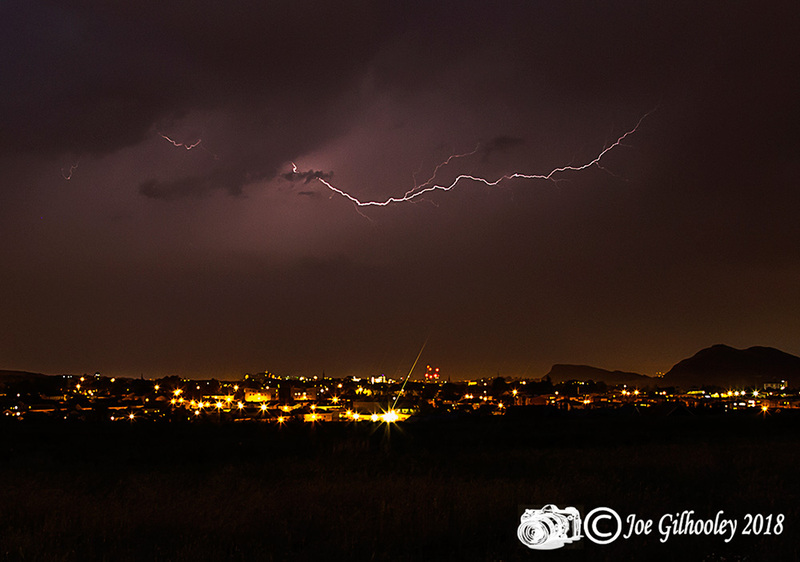 I caught this fork lightning over the centre of Edinburgh from The Lang Loan. Then it was gone. One image as colour, then monochrome.